“Have you ever felt so alone? So totally cut off from all humanity? That not one person would care, let alone notice, that you were gone? As though the cold darkness of the night would seep into your room and swallow you whole?" Anna Cherith felt this way after a tragedy had happened in her family. 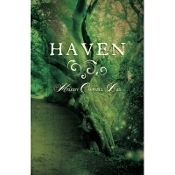 She needed a place to escape to and so created a dream world that was called Haven. Haven was peaceful and everything she had been yearning for. Soon she found herself enraptured with a man named Felix and had no idea how intertwined they would become. Yet even in this dream world her real world would try to creep back in. If that was not enough she found that her new world was not all that she had thought. The woods held a secret of their own and she found she feared them more than she wanted to admit. She soon would discover all that her dream world had in store for her.